Freeport, Bahamas is a significant port. No surprise there — presumably, that’s how Freeport got its name in the first place. It’s very close to the American mainland, and a convenient stopping point for ships coming and going to the U.S. of A. During our recent visit to Freeport we had the opportunity to take a boat trip past the port, thanks to our gracious hosts the Bahamians, and therefore got to see some of the larger ships up close. What’s interesting to me, as a dry landed Midwesterner, is the many different kinds of big boats you see around the Freeport port. Tankers, tugs, and tenders, construction boats and unloading boats — each with its own special design related to its specific function in making the port work. We took a boat trip with friends yesterday, and I realized that boating technology has progressed about as rapidly as cell phone technology. 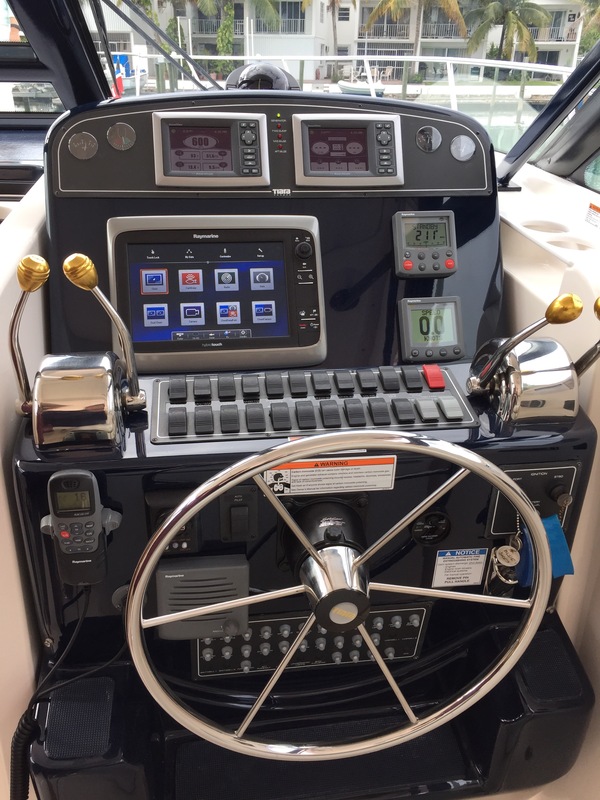 The boat’s instrument panel featured RPM monitors, fuel gauges, depth finders, fish finders, engine monitors, more buttons and lights and switched than you could shake a stick at, a GPS link and map that could be scrolled up or down or in or out — and Sirius XM radio. It all looked so complicated, like the cockpit of a plane, that I wondered if you needed a Ph.D to operate it. That turns out to be a slight exaggeration — our friends only took a week-long course to get up to speed. We took the mailboat run out to Isle au Haut yesterday. After we started the trip a dense fogbank rolled in, moving toward us like a living creature and then finally enveloping our small craft in its damp, blank embrace on our return journey. 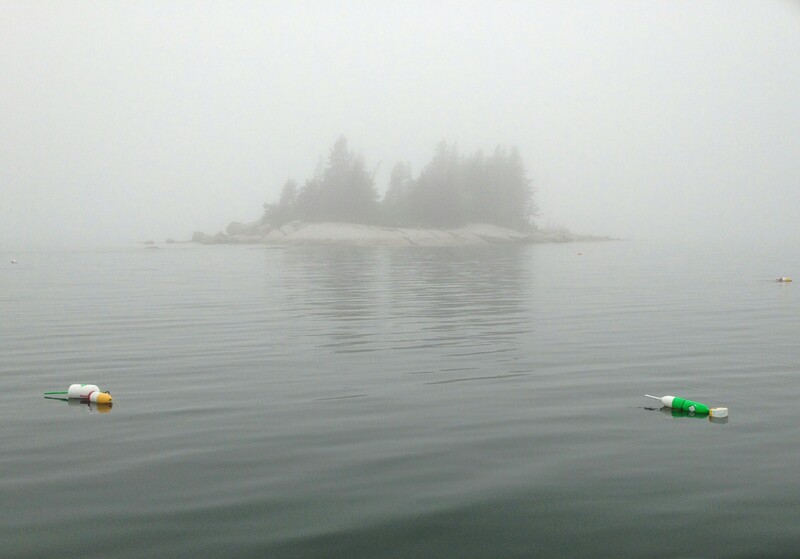 It was like being in a dream, with small islands silently sliding in and out of the thick mist and bobbing lobster buoys adding the only dabs of color to the monochromatic scenes. We were on a mailboat run on a very foggy day. The fog was all-encompassing, cool and damp against our skin and seemed to muffle every standard waterside sound. 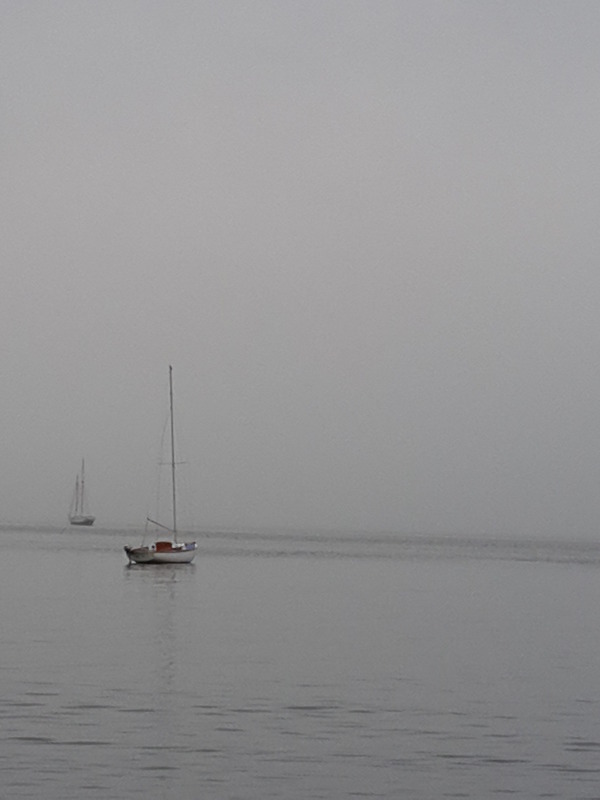 Occasionally the fog would break, however, and boats would appear, etched sharply against the fog bank behind. I’ll always be fascinated by sailboats, and their tall majesty on the water. This beautiful craft passed our mailboat as we headed into the harbor in Portland. 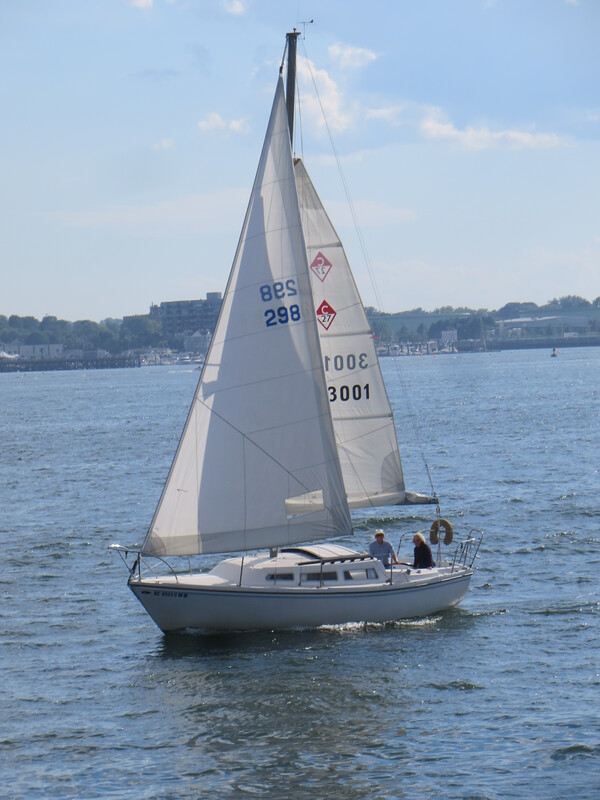 We saw lots of boats on our mailboat run into the Casco Bay, and I’ll post another picture of one later today. 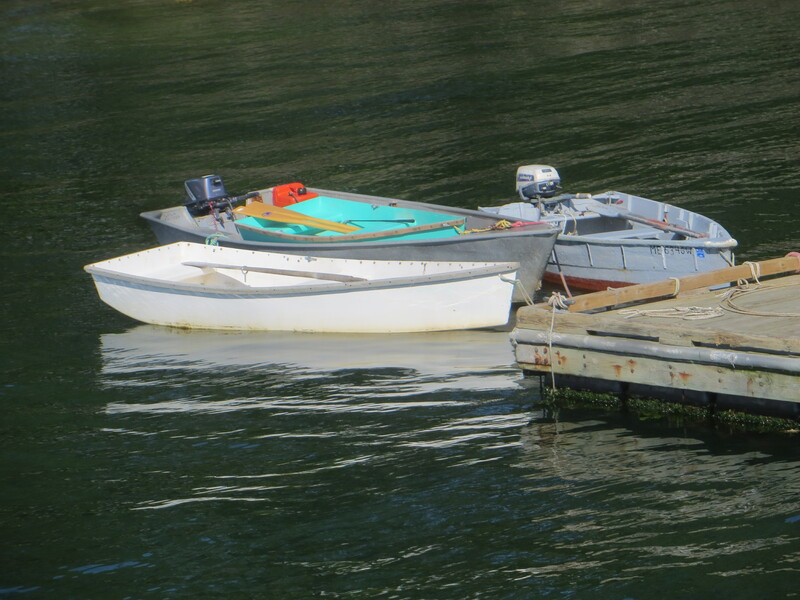 Among all of the magnificent vessels, however, I liked the color of these three little working boats tied together at the floating dock off Cliff Island.